One of my expectations directly after the Brexit referendum was that Germany would ultimately come to the aid of the UK because of its trading interests. I admit that this prediction looked a bit shaky in the light of the robust negotiating position taken up by Angela Merkel, the German chancellor. But it was the right call. As we approach the December crunch date in the first round of Brexit talks, Germany’s language has softened notably. I always thought it was unrealistic to expect that German companies would have nothing to say if faced with the possibility of a sudden and brutal cut in supply chains. In 2016, Germany ran a trade surplus with the UK of €50.4bn — 1.6 per cent of German gross domestic product — the single-largest bilateral trade surplus with any country. But there is another reason for Germany’s more constructive attitude, one that did not exist a year ago. Ms Merkel is about to negotiate one of the most expensive coalition agreements in German history. The outgoing government has amassed a moderately large fiscal surplus, which Ms Merkel will need to use to satisfy the special interests of her future coalition partners, the Free Democrats and the Greens. I have heard estimates of a fiscal expansion of more than 1 per cent of GDP, though this is clearly the outer limit of what is possible under the debt ceiling in the German constitution. The closer the coalition goes to that limit, the less fiscal space there will be for any German largesse in the EU. This looming financial squeeze informs Germany’s position on Brexit in rather specific ways. Germany clearly wants to avoid a breakdown in the Brexit talks. A no-deal Brexit would cause an existential crisis in the EU since neither Germany nor France would be willing to plug the gap. But while Germany wants a deal, it does not want to be short-changed by the UK, either. Germany does not seek to profit from the UK’s withdrawal but is right to insist on a cost-neutral Brexit. If and when Theresa May, the UK prime minister, provides the necessary clarity on finances, I see no reason why the EU should refuse to take the Brexit negotiations into the second phase, consisting of talks about the transition period and the future trading regime. The second phase of the Brexit negotiations will be a lot tougher than the first. I am relatively confident that the various transitional legal issues can be sorted, but the permanent trade agreement will be very complex. I read with interest a story last week, according to which the German foreign ministry has prepared a four-page memo on the outlines of a future trade and co-operation deal. The paper seeks far more than a tariff-free zone for manufactured goods. It proposes co-operation on foreign and security policy, on terrorism, and on a number of selected service industries, including airlines. Finance was notably absent. This is not an official document. Ms Merkel’s own position may be different. But a country in the middle of Europe with an exceedingly large current account surplus can ill-afford the chaos of a cliff-edge Brexit. Economic and security interests interact — hence the involvement of the foreign ministry. What the UK government does not see with sufficient clarity yet is that any such comprehensive association agreement would come at a price. I do not see the EU agreeing to free movement of airlines or nuclear materials without free movement of people. This brings us back to immigration, the issue at the heart of the Brexit talks. If the UK restricts the movement of EU citizens into Britain, it is hard to see how a trade agreement can extend much beyond free tariffs on manufactured goods. Even if the UK were to agree to free movement, I cannot see the EU accepting financial services in a trade agreement. Mrs May has chosen a Brexit without membership of the single market and the customs union. That choice determines the outer scope of the future relationship. I see no chance that the City of London will retain its current level of access to the European market — though there may be deals for certain sub-categories of financial services. It was never an optimal arrangement that the eurozone’s main financial centre was outside its borders. This is the one area where euro nations see an obvious advantage as a result of Brexit. They will not easily give this up. What makes me moderately optimistic that the EU and the UK will end up with a broad co-operation agreement is the current trend in net UK immigration, which has been falling fast. By the time the trade talks reach the critical point, both sides may conclude that the price of a compromise is worth paying. The UK needs to avoid a cliff edge in 2021 or 2022. Germany does not want to lose the €50bn. Accidents are always possible at any stage. But what matters the most is that interests are aligned. YOU could forgive Janet Yellen, the chair of the Federal Reserve, for feeling peeved. With unemployment at just 4.2%, and inflation at 1.6%, she is close to achieving the Fed’s two goals of curbing joblessness and pinning price rises at 2%. Ms Yellen is a Democrat appointed by Barack Obama in 2014. The tenures of past three Fed chairs were all extended by presidents from the other party. 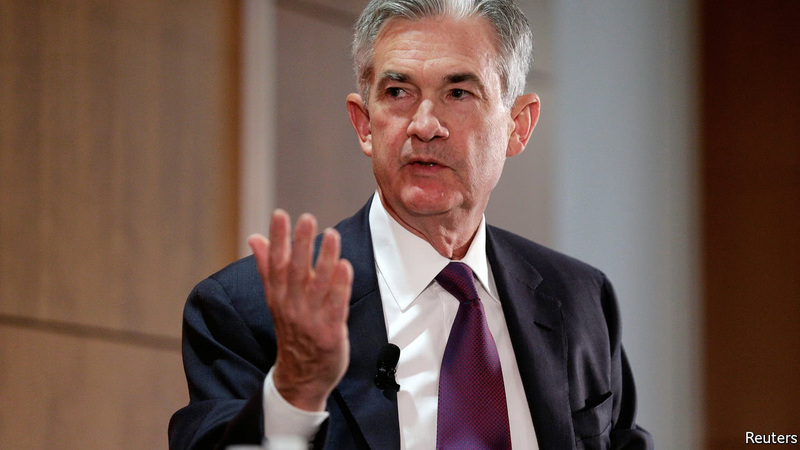 Yet as we went to press, President Donald Trump was expected to nominate Jerome Powell, a Republican on the Fed’s board, to replace Ms Yellen. If picked, Mr Powell—also an Obama appointee—would stand out from recent incumbents. He would be the first Fed chairman since William Miller, who left office in 1979, with no formal economics training; and, according to the Washington Post, the richest since the 1940s. Mr Powell, who is 64, is a lawyer-turned-banker. His first role in Washington was at the Treasury during the presidency of George Bush senior. He had responsibility for financial institutions and helped deal with the collapse of the Bank of New England, then the third-largest bank failure in American history. On leaving government, Mr Powell joined the Carlyle Group, a private-equity firm, before starting his own business. From 2010 to 2012 he worked for the Bipartisan Policy Centre, a centrist think-tank. There, he made a name by warning Republicans about their threats not to raise the limit on government borrowing. At the Fed, Mr Powell has occasionally sided with hawks. But recently, his views on monetary policy have hewed close to Ms Yellen’s. In June he stressed the need to tighten monetary policy only slowly. He also mounted a robust defence of the Fed’s loose monetary policy after the financial crisis. Mr Powell has, however, recently suggested that there is some room to improve the financial regulations imposed after the crisis. Critics of the Fed’s recent monetary policy include rivals for the chairmanship, such as John Taylor, an economist at Stanford University. The question is whether Mr Trump might appoint hawks like Mr Taylor to other open seats on the Fed’s board, of which there are three, including that of vice-chair. One more slot would open should Ms Yellen resign from the board, as is normal but not required for departing chairs. The balance of the committee will give a clearer idea of how much a Powell Fed would differ from the Yellen one. Similarly untouchable were the existing spheres of influence on the Continent. There was the East and the West, and neither would mess with the other. Thus, when the Soviets crushed independence movements in Hungary and Czechoslovakia, the United States refrained from any military action (not that there were many options). When Yugoslavia chose a pro-Western neutrality over membership in the Warsaw Pact, and the Soviets might have responded by supporting independence movements in Yugoslavia’s member states, they ultimately declined. Borders, and the reckless behavior of Europe’s leaders over those borders, had led to tens of millions of deaths. 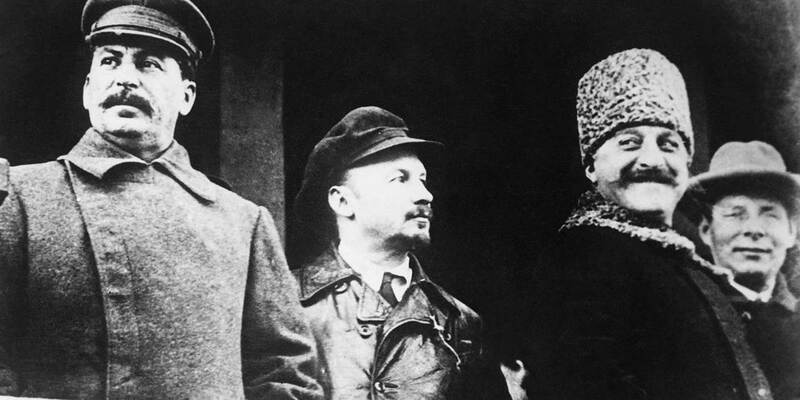 The Americans and Soviets were more prudent, in part because it wasn’t their borders at stake. Yugoslavia and the Caucasus were exceptions that drove home the lesson of European borders. There, outside the framework of the EU and of little consequence to others, more than 100,000 people died. Compare this to the Velvet Divorce of the Czechs and Slovaks, which took place within the context of future European states and left no one dead. After this, and with Yugoslavia and the Caucasus in mind, the European Union tried to reinstate the principle that borders were sacrosanct. It provided what it had promised – peace and prosperity – and treated borders as anachronistic. No one was supposed to care where the lines were drawn. The economic man, as envisioned by the EU, is unfortunately an insufficient explanation for who we are. Nations matter because Europe is merely a continent, and the EU is merely a treaty. It is a useful entity, and being useful is the only thing that justifies it. If it loses its utility, it loses its legitimacy. And that would also mean that the boundaries it has set on what is admissible would wither and die. Catalonia and Scotland both have serious independence movements. They want to determine their own futures, because they see themselves as distinct. Even if they were to join the EU on their own, the very idea of old European nations reasserting themselves, and questioning the legitimacy of borders as they were drawn in 1945, terrifies the EU. Indeed, it should frighten it more than Brexit. Almost all current nations in Europe have border issues and constituent parts that want to be independent. Most are quiescent at the moment. But they are watching Scotland and Catalonia. And they know where border issues in Europe lead. Sit down. It’s time we had a serious talk. I hate to tell you this. But we’re broke. By “we,” I mean the US, Canada, Germany, Japan, and the UK. In fact, most of the developed world is holding historical levels of debt. Only a handful of relatively small countries are living within their means. That means we’re going to have to cut back a little. That vacation you wanted? Probably not. We’re going to have to wait a few years for that new car. Maybe the kids won’t get to go to their first-choice college. No, we can’t discuss this at that new restaurant everybody’s talking about. Like I said, we’re broke. Why? That’s easy. The world is aging. The biggest budget component of the US and other developed countries’ is related to aging and related diseases. In the US, this is primarily Social Security and Medicare. Together, they make up more than half the total budget. The two programs are more closely linked than most people realize. This is because most people don’t choose to retire. Rather, they are forced to become dependent by health problems or employer mandate. But even employer-mandated retirements are about health. Few talk about it, but older workers raise insurance pool costs. It’s cheaper to get rid of old workers than pay higher insurance rates. It’s helpful to think about national debt in terms of households. For some reason, people don’t seem to take national budgets and debts seriously. They think that governments will be able to borrow forever to maintain popular spending programs. But even governments run out of credit at some point. There’s no national credit card that can be cancelled. There is, however, a limit on how much governments can borrow. Greece, for example, can no longer borrow at low prices. That’s because lenders don’t trust the country to make payments on time. Eventually, the US and other major countries will reach that same point. If you don’t believe me, read the 2017 Congressional Budget Report. The CBO recognizes aging as the driver of the debt and warns that the bill is coming due. That, in the words of the report, would be a fiscal crisis. It's understandable that politicians are unwilling to tackle the growing cost of the aged. We’re talking about the well-being of older people after all. No one is willing to push grandparents over a cliff. No one. Moreover, older people make up a powerful voting bloc. Americans may be divided on a lot of issues, but older people of all political persuasions are united on the topics of Medicare and Social Security. So the debt is not likely to be repaid soon. Borrowing, at times, is justified. Unexpected catastrophes may warrant borrowing. Spending on infrastructure that increases wealth is also rational. But today, most borrowed money is used to pay routine expenses. That’s like putting the groceries, water, power, and normal medical bills on credit cards but only paying the interest charges. Every month, the finance charges grow, making it ever more difficult to get out of debt. Worse, the cost of age-related diseases will continue to go up for decades. Even if the president manages to increase economic growth permanently, it won’t be enough to counter the cost of a growing aged population. That means the political conflict over spending priorities is going to get worse. The current demands for additional healthcare spending will intensify as cash-strapped agencies struggle. If you’re interested, you can watch the debts of the United States, the United Kingdom, Canada, Japan, and Germany grow in real time. If I’ve left out a country of interest, check out the World Debt Clock. It keeps track of almost 50 national debts. I realize, by the way, that this is a depressing issue. It’s so depressing, in fact, that many people and most politicians pretend it doesn’t exist. Media coverage of political issues often focuses on those who will be hurt if government doesn’t spend more money. Rarely does the media address the painful consequences of widespread debt crises or the terrible impact it will have on younger people. I no longer believe that it’s possible to fix budgets politically. Former Fed chair Alan Greenspan and others have come to the same conclusion. To solve the financial challenge of population aging, called the gray tsunami by demographers, we must fix aging itself. Fortunately, there are biotechnologies in the pipeline now with the potential to create a new and far better world. Some are nearly unbelievable. The scientists are, in fact, doing their part. However, there are many ways for the rest of us to help implement their solutions. One is to invest in companies that have biotech solutions to age-related disease. Another is to tell your elected officials to reform the processes that are slowing medical progress. Or you could just talk to your family and friends. Tell them that aging is a solvable problem. When enough of us demand it, the problem will be solved. NEW YORK – After nine months of Donald Trump’s presidency, the leaders of the Republican Party appear finally to be waking up to the harsh reality that their country stands at the edge of an abyss. They now have a choice: they can either continue to collaborate with Trump, thereby sustaining his destructive leadership and courting disaster, or they can renounce him, finally putting their country’s democracy ahead of loyalty to their party/tribe. But true political honor demands more than veiled condemnations (McCain did not mention Trump by name in his speech), or simply quitting, as Corker and Senior Republican Congressman Pat Tiberi of Ohio are doing. Rather, it calls for crossing the political aisle, as Winston Churchill (no doubt a hero to all of them) did, when he switched from the Liberal to the Conservative Party. Instead, on the Night of the Long Knives, the Nazis hunted and executed Papen’s trusted associates, Herbert von Bose and Erich Klausener, and seized control of the government. Papen’s fate was kinder than Bukharin’s, though: Hitler shipped him off to serve as ambassador to Austria and then to Turkey. After World War II, Papen was acquitted at the Nuremberg trials. I’m not saying this because teachers, plumbers, and librarians are getting filthy rich off bitcoin…or because cryptos are the biggest story in the investing world. I’m saying this because the CME Group just made a historic decision. The CME Group runs the world’s largest options and futures exchange. On Tuesday, it said that it will introduce its first-ever bitcoin futures contract. This contract will track the price of bitcoin. And the CME Group plans to introduce it by the end of the year. It’s now trading seven times higher than where it was at the start of the year. But it should head much, much higher. The market for bitcoin could even soon triple in size because of this historic decision. I’ll show you why in today’s essay. I’ll also show you how to get in front of this coming stampede. But you first need to understand something important. This refers to institutional investors, which includes hedge funds, money managers, and sovereign wealth funds. You might find this hard to believe. After all, institutional investors are usually the first to invest in groundbreaking technologies. So, why don’t they own any bitcoin? When you oversee that much money, the stakes are high. So, these firms must hedge their bets when they make big trades. There are many ways to do this. But the most common way is with futures contracts. Now, the actual mechanics of hedging with futures are complicated. But they basically allow big institutional investors to protect themselves against adverse price movements. In other words, they act like insurance if a big trade goes against you. Up until now, big institutional investors haven’t been able to do this with bitcoin. LedgerX is the only federally regulated exchange and clearing house for digital currencies. Two weeks ago, it held a “soft launch” of its bitcoin options product. The exchange did $1 million in trades in the first week. The next week, it cleared $2 million. That’s much better than people expected, but let’s be real. A couple million dollars is nothing for big institutional investors. That adds up to about $1 quadrillion in volume. In other words, it’s a much bigger deal than LedgerX. So, why did the CME Group do this? Simple. Its clients are begging for a bitcoin product. And the CME Group plans to give that to them by the end of the year. The CBOE is the largest U.S. options exchange. Like the CME Group, it also plans to launch its own bitcoin futures contract. And it could do so before the end of the year. That’s about 250 times bigger than the entire bitcoin market. Now, these big firms obviously aren’t going to move all their money into cryptos. But they won’t need to for bitcoin to skyrocket. If they put just 1% of their money into bitcoin, that’s $300 billion. That would cause the bitcoin market to nearly triple in size. ProShares and VanEck, two of the world’s biggest providers of exchange-traded funds (ETFs), are already working with the U.S. Securities and Exchange Commission (SEC) to introduce their own bitcoin ETFs. If they succeed, it will become easier than ever to invest in bitcoin. And that will bring even more everyday investors into bitcoin. When they do, billions of dollars of pent-up demand will pour into what is still a relatively tiny market. That’s obviously something you want to get in front of. So, consider speculating on bitcoin if you haven’t already. Of course, I realize that buying bitcoin might sound intimidating. After all, it’s not like you can buy bitcoin through your broker. But trust me. It’s not as hard as you think. I know because I just bought bitcoin for the first time ever. The process took about 10 minutes. It was so easy that I walked my dad through it a couple days later. And let’s just say he’s not the most tech-savvy guy on planet. If you don’t know Teeka, you should get to know him. He’s the editor of Palm Beach Confidential. And he’s one of the world’s top cryptocurrency analysts. Now, I know a lot of people in our industry make this claim. But Teeka’s the real deal. Just look at his track record. Since April 2016, Teeka’s told his readers about 26 crypto opportunities. The average gain of those recommendations is 1,021%. His biggest winner was a cryptocurrency that soared 14,354% in six months. That’s enough to turn $1,000 into more than $143,000. Those are life-changing gains. But don't worry if you haven’t bought bitcoin.